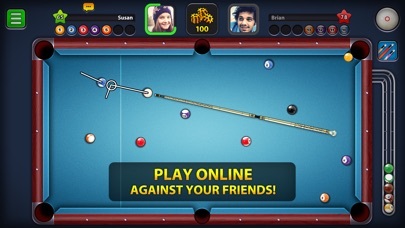 Some of the rules are ridiculous.For example if you knock in your last ball and the 8 ball in the same turn,you should still get the win.I mean you DID knock all of your balls before the 8 ball. You lose money way to quick and play against levels that are way higher then your own I’m level 162 and I play with level 300 it’s not fair.. This game is very fun but you guys should make the game to where you can play for any amount of money with you friends! 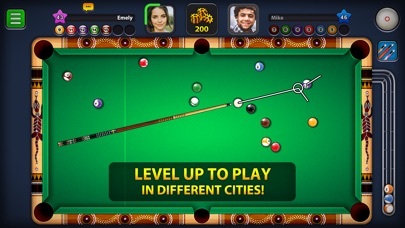 Miniclip pool is entertaining and addictive. (The game appears to be fixed at times)! The cue ball is hidden and it scratch too often. Someone Cheats. Don’t spend your money buying stuff. Win it or do without it. 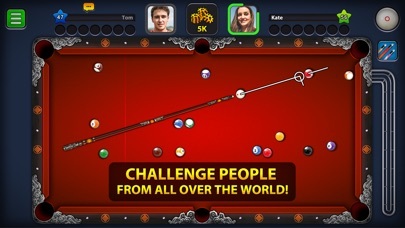 I played this game daily for years, now when I try to play any game in 8Ball mode, the app closes... very frustrating. 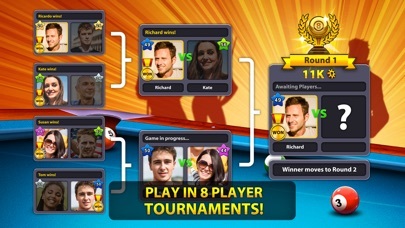 I can only play 9Ball or a Tournament. Ruins the experience completely. Hoped the new update (4/18/19) would fix the issue... it didn’t. Total waste of a previously fun app. I like the game but the support is unresponsive.